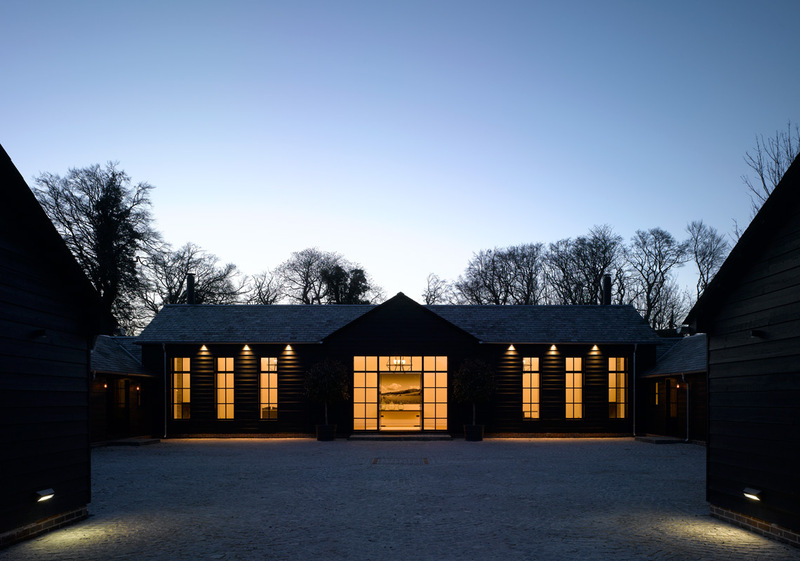 Arranged around a central courtyard, these buildings designed by Greenway architects provide 6000 sq ft of accommodation and blend in with the traditional agricultural buildings typical of the area. 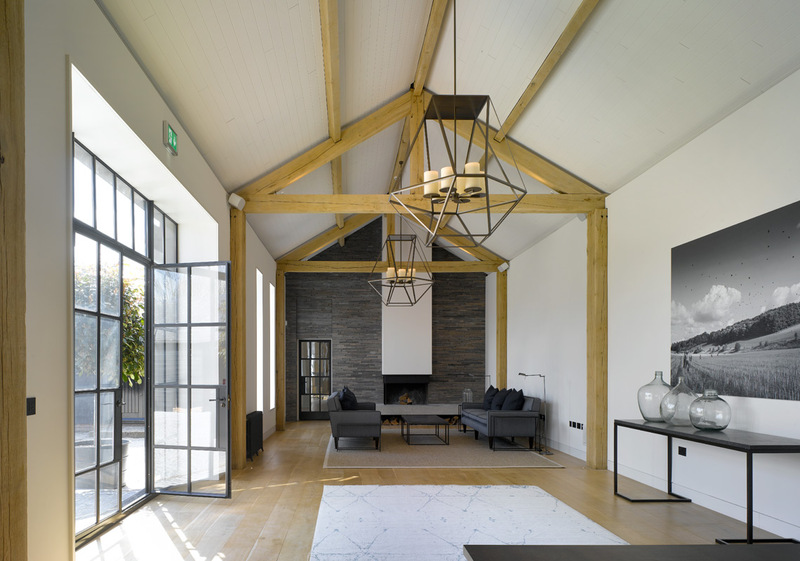 Beautiful bespoke feature pendents and soft warm lighting create dramatic internal spaces and provide a cosy welcoming atmosphere for guests. Careful selection and location of exterior lighting keeps light pollution in this rural area down to a minimum.